The bestselling author and Emmy Award-winning cohost of ABC’s The Chew takes the intimidation out of cooking and shows you how to savor life fully every day with this gorgeous cookbook featuring more than 125 easy, healthy, and delicious timesaving recipes. For many people, especially those who aren’t quite at home in the kitchen, the idea of cooking a homemade meal can be terrifying, uninspiring, or just feel like a chore. 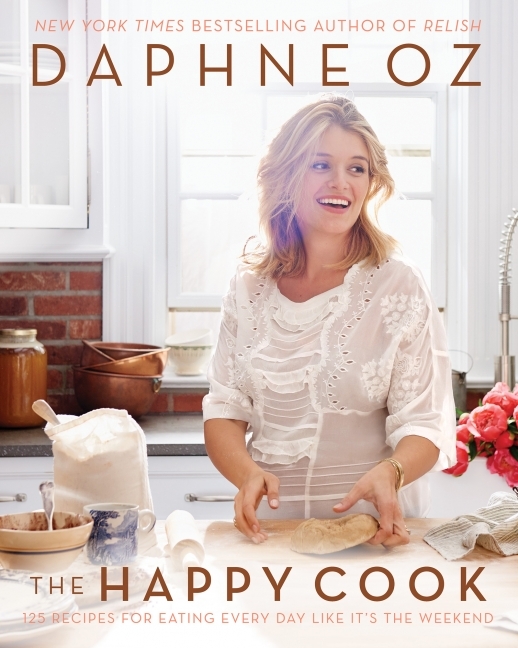 In The Happy Cook, Daphne Oz makes cooking fun and relaxing, and shows anyone—newbie or seasoned expert—how to celebrate every day with delicious meals that are as easy to create as they are to enjoy. The Happy Cook is filled with friendly advice, expert tips, inspiring ideas, and best of all, 125 simple yet fabulous recipes, all using just a handful of ingredients, that will transform the most nervous or reluctant novice into a happy, confident home cook.